If you're someone wanting to lose weight, summer time is the best to get working. Swimming, white water rafting, surfing, etc are some of the best workouts. Summer is the best time to work on losing weight. 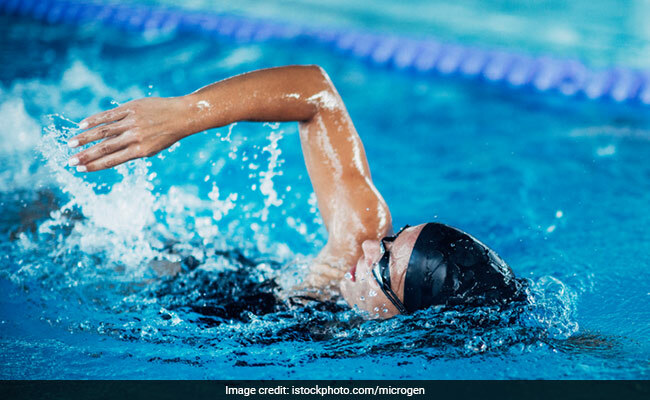 Swimming can help you burn as many as 600 calories per hour. Swimming builds stamina and improves blood circulation. Summers are upon us and it's time to brace ourselves for an onslaught of punishing heat and a plethora of health problems that come with it. However, proper exercise and a good diet can help you beat the heat like a pro! Moreover, if you're someone wanting to lose weight, summer time is the best to get working. There are workouts like swimming, white water rafting, etc, which are fun to do and get you summer ready in no time. Similarly, there are certain foods that you can include in your diet to stay cool naturally. Swimming is one of the best and most enjoyable summer time workouts. It aides blood circulation, builds stamina and helps you lose weight, all while staying cool. While swimming you can burn as many as 600 calories per hour! Now that's some seriously cool burn. Are you a beach baby who loves being in the water? Surfing is meant for you! It's a great way of building endurance and you may burn anything between 500 to 800 calories in an hour while surfing. Time to hit the waves! White water rafting isn't just a fun group activity, but it also works your back, arm and shoulder muscles. Some vigorous paddling in strong rapids can help you burn as many as 270 calories per hour. Although cycling might not seem like a very good idea in hot weather and you might actually be reluctant to hit the road on a hot summer's day, it's more fun than an indoor workout. So if you're bored of the stationery bike, set out for unexplored roads on your bike, but make sure you carry enough water with you. One of the most well-known summer foods out there, cucumbers are super hydrating and low in calories as well. You can eat them raw, juice them or add them to salads for a nutritious summer meal. Cool watermelons are honestly the best snacks during summers. They are low in calories and are made up of 95 per cent water, which make them one of the most hydrating foods ever. Bottle gourd or lauki is one of the best summer vegetables. It reduces body heat, hydrates your system and treats digestive ailments like diarrhoea and constipation. They are also incredibly low in calories. Green beans are surprisingly hydrating and are great for your skin as well due to the presence of antioxidants. They are excellent source of Vitamin K, manganese, fibre and vitamin C.
Besides these, drinking lemon juice on a regular basis is an excellent way of staying cool and hydrated during the summers.